Syfy’s Channel’s one-two outer space punch is back! 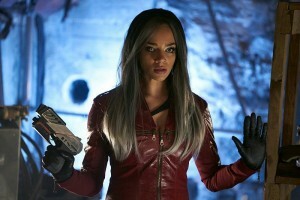 The cable channel kicks of a new summer of Syfy Friday this week, with the return of last summer’s fan favorites Killjoys (9/8c) and Dark Matter (10/9c). Both shows are starting their second seasons. On Killjoys Dutch and Johnny must go to great lengths if they are going to have any hope of rescuing D’avin from the RAC’s high-security facility. 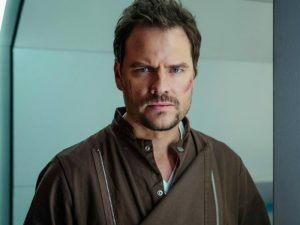 And on Dark Matter, the Raza crew also find themselves in a maximum security prison after one of their own betrayed them and handed them over to the Galactic Authority. 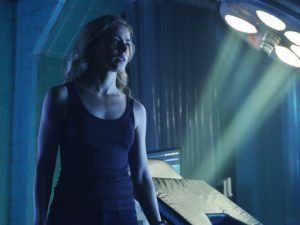 Also this week: 12 Monkeys draws closer to its season finale Monday night, and Cole worries that the temporal facility may fall. “Resurrection.” Cole and Jones find themselves in the middle of a coup just as the destruction of the temporal facility appears imminent. Following a violent encounter that ends in unexpected tragedy, Cole is sent back to 1957 as the last-ditch hope for survival. 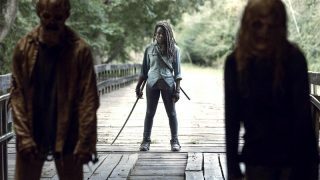 Syfy, 9/8c – SEASON PREMIERE! “Dutch and the Real Girl.” After failing to rescue D’avin from Arkyn, Dutch and Johnny head to Eulogy — an outlaw-only barter town — in the hopes of stealing a mysterious, high tech shield from the infamous Connaver gang. Syfy, 10/9c – SEASON PREMIERE! “Welcome To Your New Home.” The crew awaken to find themselves being held prisoners on the Hyperion-8 Maximum Security Galactic Detention Facility.